Editor's Note: This article is drawn from Scott's recent books about supply chain management (SCM) capabilities within Dynamics AX. One book covers SCM for Discrete Manufacturing and a second book covers SCM for Process Manufacturing. A third book applies to both, and covers the options for Warehouse Management. Scott Hamilton has consulted globally with several hundred manufacturing/distribution companies on SCM and ERP issues. His publications include multiple books about SCM using Dynamics AX as well as two textbooks about SCM/ERP, and his books have been translated into Portuguese, Russian, Chinese and Japanese. For more than 10 years, Scott has been a frequent speaker at Microsoft and AXUG conferences around the world, and a multi-year winner of the rarely given Microsoft MVP award for Dynamics AX. 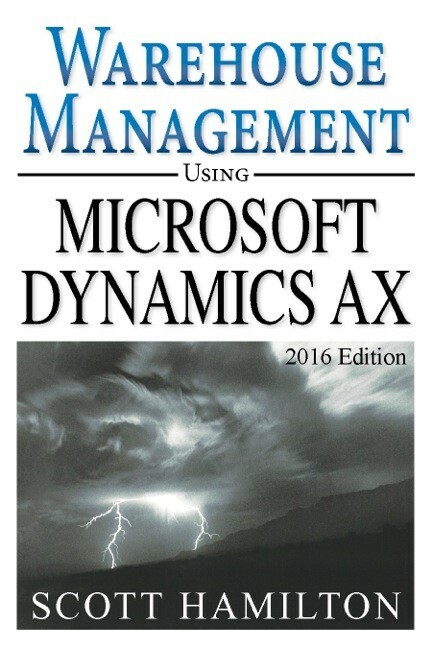 His regular column “The AX Solution Architect” is published in MSDynamicsWorld.com.